of a south facing Spectra sundial in the northern hemisphere. notice the long position of the shadow on this hot February day in the Australian summer. Spectra sundials can be made for anywhere in the world! 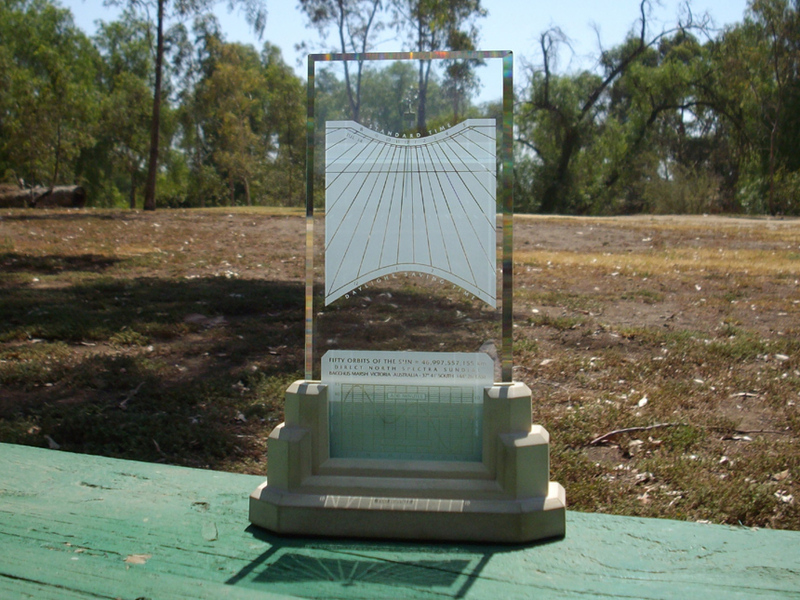 You can find more pictures of this Spectra sundial posted online here.